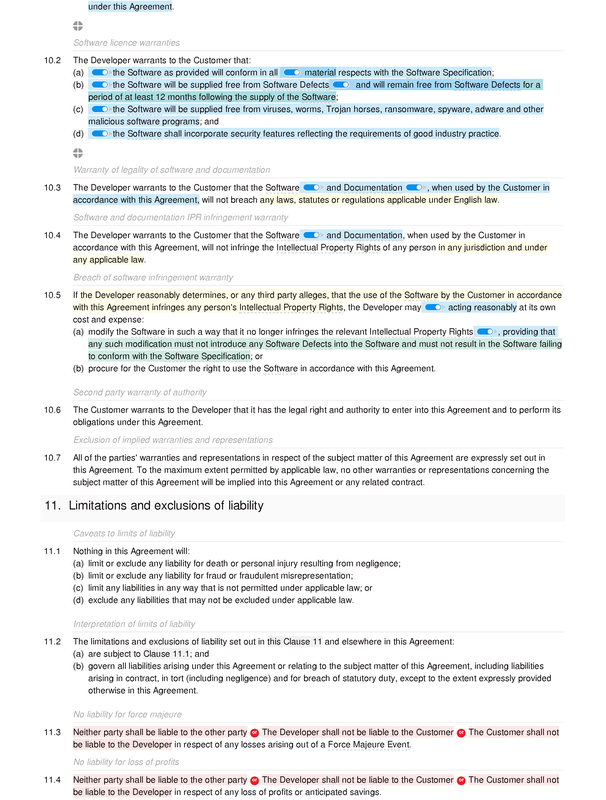 Software development contracts can be both legally and factually complex, and it is almost always a good idea to set out the basis upon which the software is being developed in a written contract. 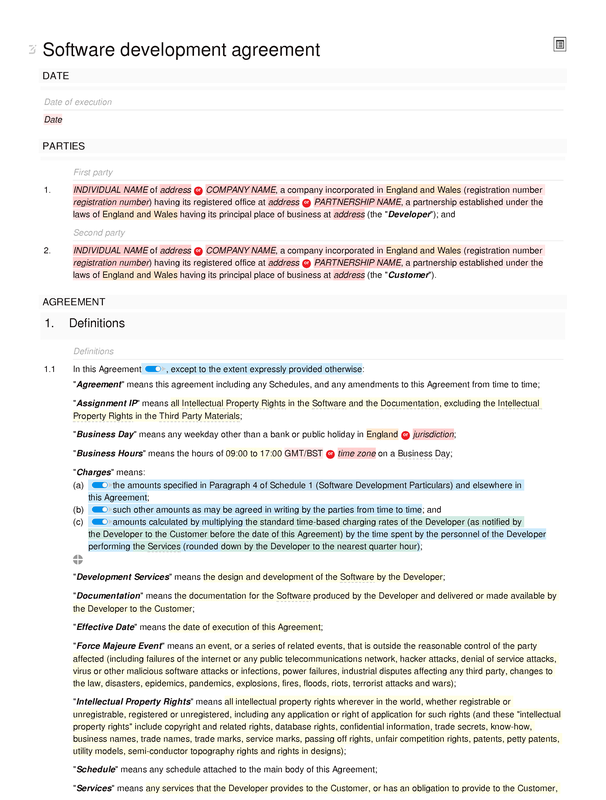 This document is equivalent to our basic software development agreement. 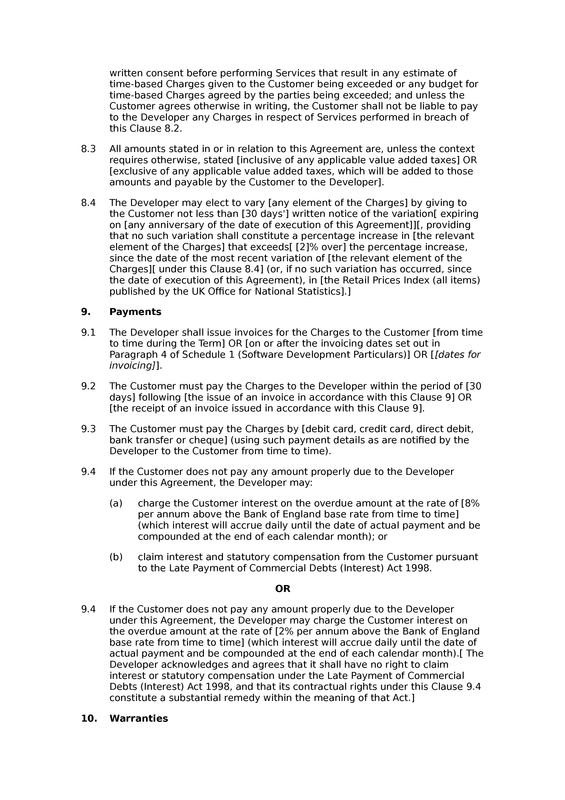 The only difference is that this document includes a section crediting/attributing the template to us. Please use the basic document if you want to remove that section. 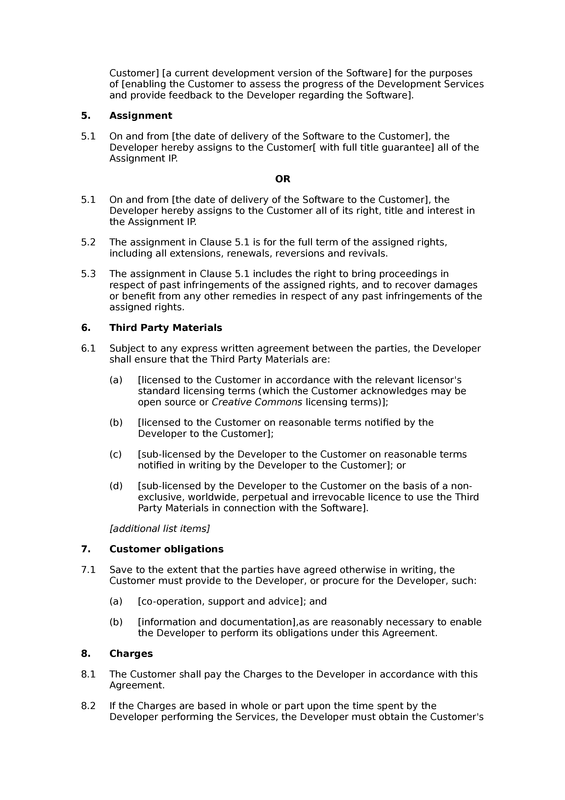 The agreement assumes that rights in the software will be assigned to the customer, rather than licensed, although third party materials included with the software may be carved-out from the assignment. Term: commencement of term; end of term: indefinite, or software delivered, services completed and payment made. 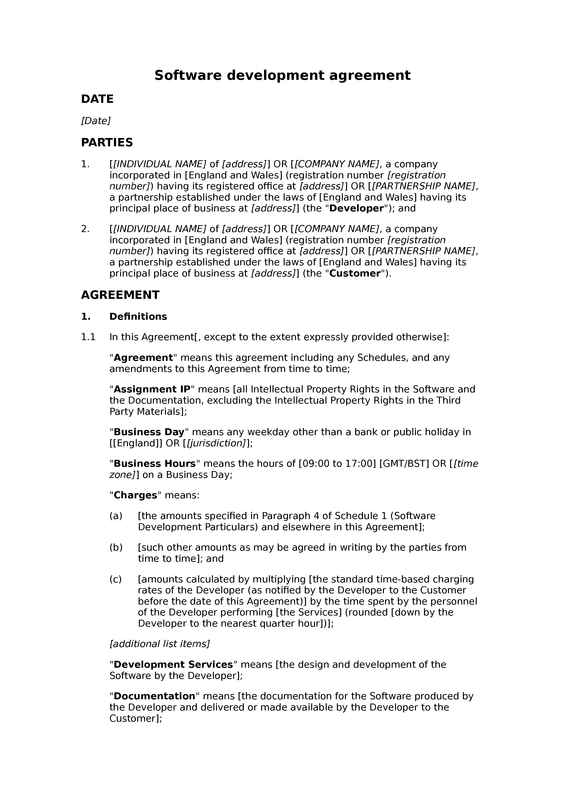 Development Services: obligation to provide development services; timetable for software development and delivery; delays in development services consequent upon second party delays; software development coding standards; keep second party informed of development services progress; availability of software to second party during development. 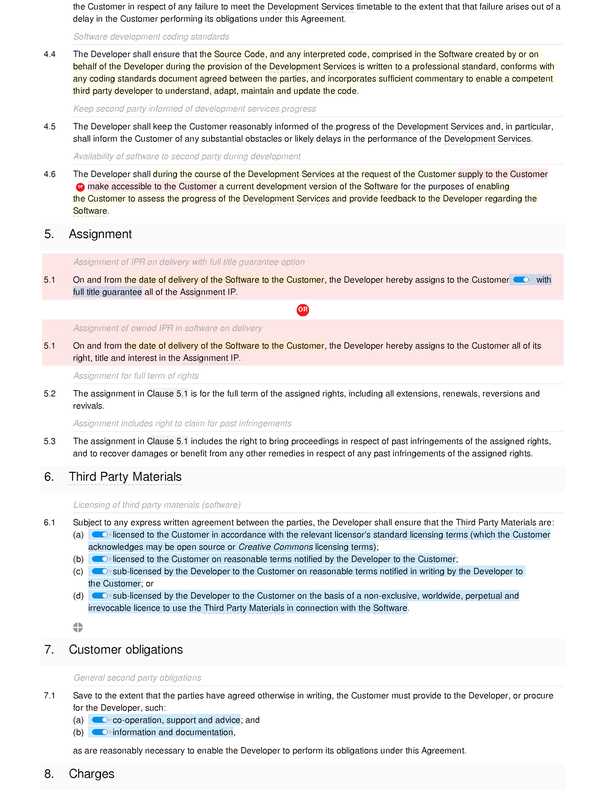 Assignment: assignment of IPR on delivery with full title guarantee option; assignment of owned IPR in software on delivery; assignment for full term of rights; assignment includes right to claim for past infringements. 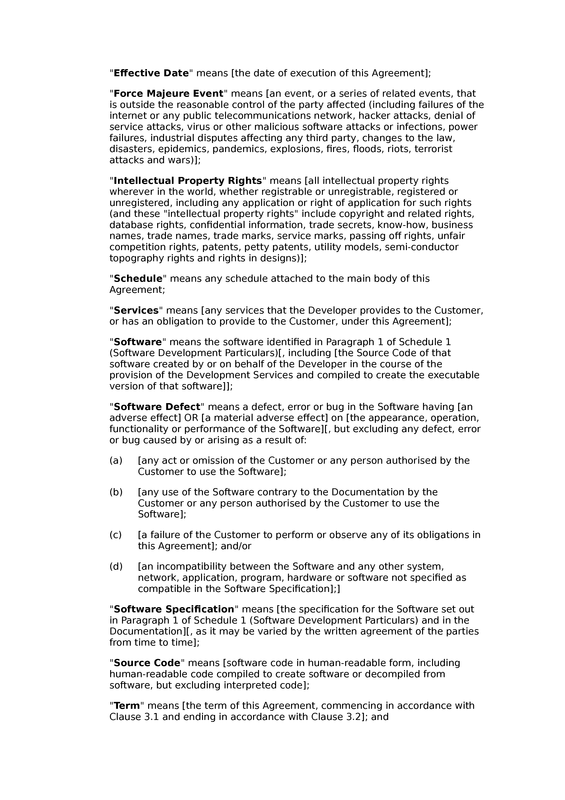 Third Party Materials: licensing of third party materials (software). obligations: general second party obligations. 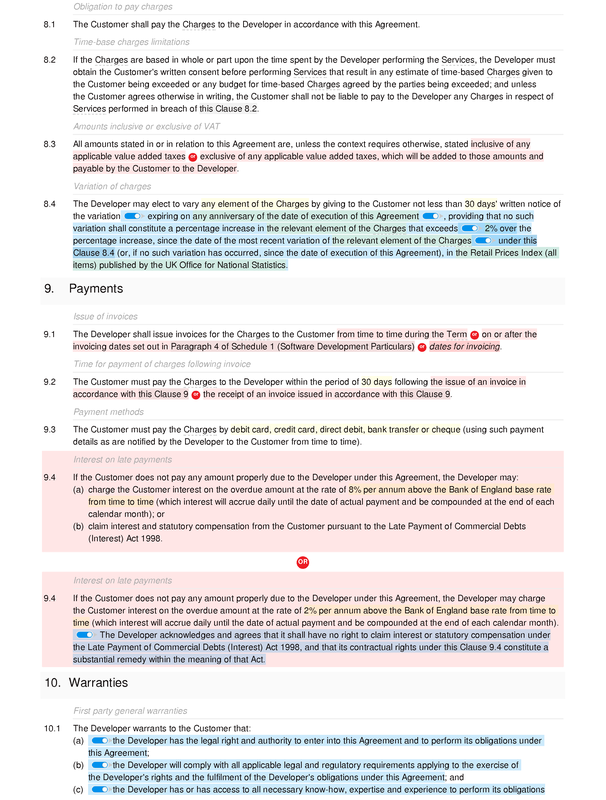 Warranties: first party general warranties; software licence warranties; warranty of legality of software and documentation; software and documentation IPR infringement warranty; breach of software infringement warranty; second party warranty of authority; exclusion of implied warranties and representations.